Your mechanic says you need a wheel bearing, but you wonder "What is that?" I will make this as easy as possible to understand, with pictures, video, and my own interpretation. I'll tell you what a wheel bearing is, its job, where it's located, and what it sounds like when it's damaged. What Does a Bad Wheel Bearing Sound Like? When the seal on the wheel bearing is broken or damaged, the noise starts out very faint and becomes louder over time. It sounds like the noise that your tires make when hitting a rumble strip on the highway, just not quite as loud, something like the sound of playing cards flapping against bicycle spokes. While driving down the road about 40 mph, sway the car side to side slowly, shifting the weight of the vehicle from one side to the other. Do not drive crazy or cause the car to spin out, just sway it gently. Notice whether the noise gets louder or softer. If the noise is a little less if you turn right, the damaged bearing may be on the left, or vice versa. Note that tires that are "chopped" or "scalloped" (worn in patches) also make a rhythmic noise that increases in speed. This sounds very similar to a bad wheel bearing. Look at your tires as well if you hear this kind of noise. Helicopter Noise From Your Car, What is it? Why Do Wheel Bearings Make Noise? 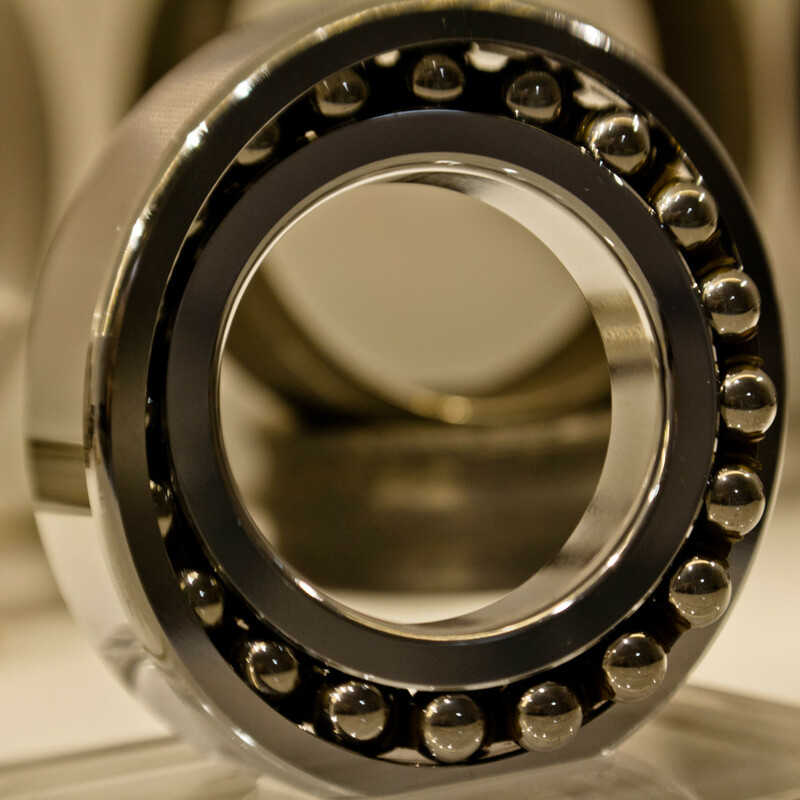 Most wheel bearings are hardened steel and can withstand a lot of abuse. Its two worst enemies are heat and water. 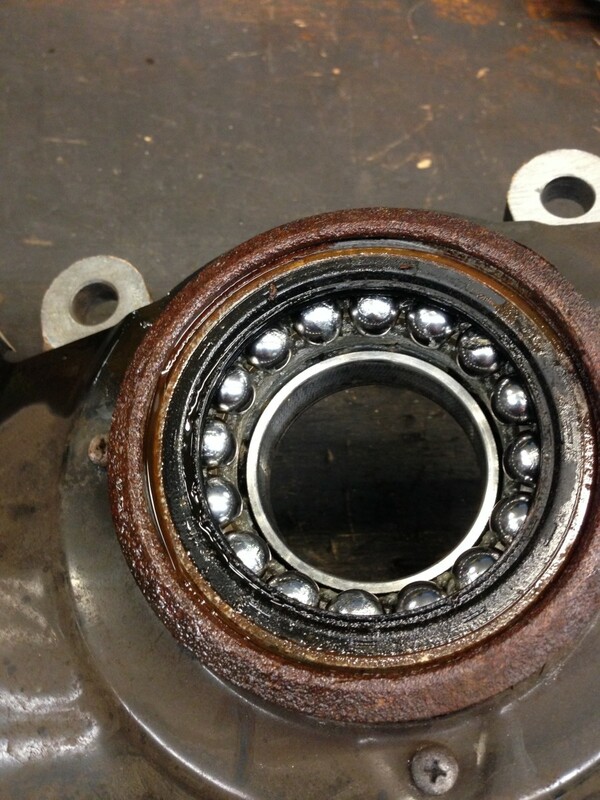 Heat caused by lack of lubrication can destroy a wheel bearing. Water that penetrates a sealed bearing will also destroy it. Most wheel bearings manufactured today are sealed. They come from the factory pressed together as an assembly: front race, bearing set, center race, bearing set, and outer race, with seals on both the front and rear. Seals protect bearings from the elements, water, and debris, and they also seal in the high-temperature grease the bearing needs. When a seal is broken or damaged, the wheel bearing will fail and start making noise. As explained in the video below, if you really want to know whether your noise is a bearing noise and you can get the car up on a lift, you can use an improvised stethoscope (actually a big screwdriver) to listen to the sound and find out where it's coming from. Have someone in the vehicle start it and run it at about 40 mph. Using a long screwdriver or stethoscope, rest it on the hub near each wheel bearing. Careful! Don't let the tool touch a moving part, or it could fly up and hit you. Listen through the handle of the screwdriver (or through the stethoscope) for the noise, and I guarantee you will be able to determine which bearing is bad. Wheel bearings do not fail immediately, and usually give you some time before you need to have them replaced. I suppose if a wheel bearing failed completely it could lock up and prevent the car from moving. Then again, my daughter drove on a noisy bearing for six months and nothing happened except that it got louder and louder. You shouldn't necessarily have the bearings on both sides replaced. Just because one fails is no reason to think the others are about to; bearings should last a long time. Replacing one is a bit expensive because of the labor involved. There are a lot of parts to remove and get out of the way before you can get to the wheel bearing, especially on a four-wheel-drive or front-wheel-drive vehicle. It's a difficult job to do yourself without a press, because it's a tight fit getting the bearing in and out of the hub. It's less work (though more expense for parts) to replace the whole hub and bearing as a unit. Please Ask Questions or Comment Below! I hope this article helped you. If you have a question, please feel free to leave it in the comments box, I will answer it as soon as possible. Your questions are welcome and help other readers. Three of the most common brake noises I encounter on a daily basis, and how to fix them. Some of the repairs I share with you here are not common and you will never find them in a service manual or TSB. Four common car noises that drive a vehicle owner crazy: what they are and what you need to do to fix them. How much will it cost to replace the wheel bearing? This all depends on the vehicle and where it's located on the vehicle. 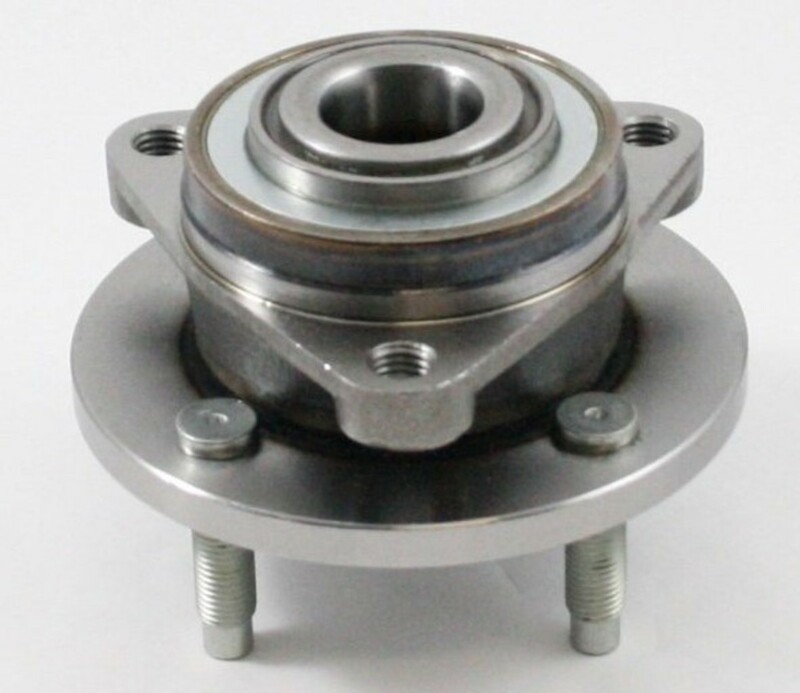 There is a big difference in labor between a Honda Civic rear wheel bearing and a Ford F250 rear wheel bearing. The average cost is about 2 hours labor for a front wheel bearing. What should I get done first: wheel bearings, or brake pads and rotors? There is some overlap in labor and you could save a few bucks doing them at the same time, so if you can borrow the money to do both jobs together it would be ideal. I don't know how bad the wheel bearing is, so I can't say which is more important. Why does my car make a tire rubbing sound but not all the time? Your tire may be close to something and only rubs when parts are moving and flexing. I had a customer once who had oversized tires and the tire would rub on the mudflap when she turned a corner. I recommend checking all your tire clearances. If the wheel bearings are making a loud noise when going straight, as well as when turning right, is that a bad sign? Should I stop driving the car until I can get it fixed? Yes, bearings will make noise driving straight as well as when turning. I recommend having a mechanic take a drive with you to get their opinion on how bad they are just to be safe. Do you have to remove the brake pads and rotors to get to the wheel bearings? Yes, the wheel bering is usually either bolted or pressed into the knuckle and the caliper and rotor will need to be removed. A sound comes from my driver's side front tire area when I turn to pull out of the driveway or do a slow turn at a stop sign. The noise sounds more like a creaking noise, and it just started to also sound like a disc spinning. My front tires are winter tires and are cupped and I know I need new struts. Could these two be the reasons for this noise or is it something else? It's very possible your struts are the issue if they are leaking oil or gas. Sometimes calipers can make creaking noises too when there is a lack of lubrication. If a wheel bearing is replaced would it need to be replaced again within one week? Are you asking if a wheel bearing can go bad in one week? If so, the person who installed it may have damaged it or instead it wrong, some wheel bearings last the life of a car. I hear a grinding noise in the front wheel area, do you think its a wheel bearing? 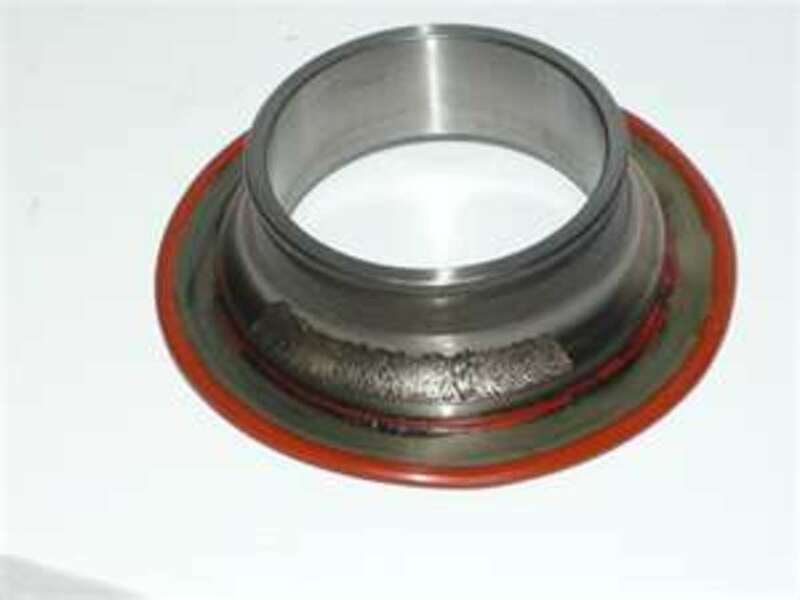 A wheel bearing noise is similar to a hum and is usually heard above 25 mph. If this is what you are hearing it's a good possibility a worn wheel bearing is what you are hearing. My car only has 12,000 miles on it. It was stuttering and not responding on and off when I would push the gas pedal. The dealership has had it for four weeks and is now thinking that my wheel bearing needs replaced. Is this unusual? Should I be concerned that I will have further problems? The problem you're having has nothing to do with wheel bearings; it sounds more like you have an issue with the throttle position sensor or mass airflow sensor. I have a 2005 Honda Pilot and there is a humming sound coming from the rear of my car. The mechanics changed the two rear wheel bearings and it was still making the same sound. Now he changed the two front wheel bearings and it is still making the same sound! Can you help me by suggesting what you think is wrong? If your Pilot is a AWD most likely the noise is coming from the center carrier bearing mounted on the driveshaft in the middle of the vehicle. When the mechanic says there was play on the wheels and the wheel bearings need to be replaced, how bad is that? It means either the locking wheel bearing nut was loose or the wheel bearing is worn enough to have some clearance. Usually if the wheel bearing is noisy it because of damage, but if the wheel bearing was loose because the nut backed off and there was no noise, the nut may have just needed to be tightened. My truck is making a vibrating/humming noise only when I'm driving 60 mph or 80 mph. Is this the wheel bearing? It sounds like either your wheel bearings or uneven tire wear, I recommend checking the tire wear first. There is a humming noise coming from front wheel area of my car, and it gets louder when I drive faster, could this be wheel bearing? Yes, that absolutely sounds like a wheel bearing. My mechanic says wheel bearing seal is leaking and it is drying in there. No noise yet. How urgent is the repair? If there is no noise and the wheel bearing doesn't have any play there isn't a problem yet and it may take years for there to be a problem depending on driving habits, condition, and miles driven. I'm a 1000 miles from home, and I think my wheel bearing needs repair. Is it dangerous to drive at high speeds? You need to stop and have it checked. I'm not sure what the actual problem is, so it's better to have it checked just in case. I bought new wheels for my Hyundai accent 2005. Last night I installed the wheels myself. As soon as I started driving, I started hearing this weird noise. I don't know if I damaged the axles. All I remember is that when I put the rims on, I tightened them very hard. That's all I did. Then the noise started up right away. What could it be? Either your rims are hitting the calipers, or your wheels are not tight enough. If you didn't install the centering rims, assuming that they came with the wheels, that could also be the source of the noise. When I start my Jeep Liberty, why do I hear a ticking noise on the right side? There are a lot of electronic components that turn on and off quickly, so maybe that's what you're hearing. I had my oil changed, and the mechanic looked over my car & said my wheel bearings needed to be replaced, and that my tires should be balanced. I took my car back to where I purchased all new tires because they would balance them for free, but they didn’t tell me I needed bearings, so who am I to believe? I don’t hear the noise you have demonstrated. Did the mechanic say why they needed to be changed? 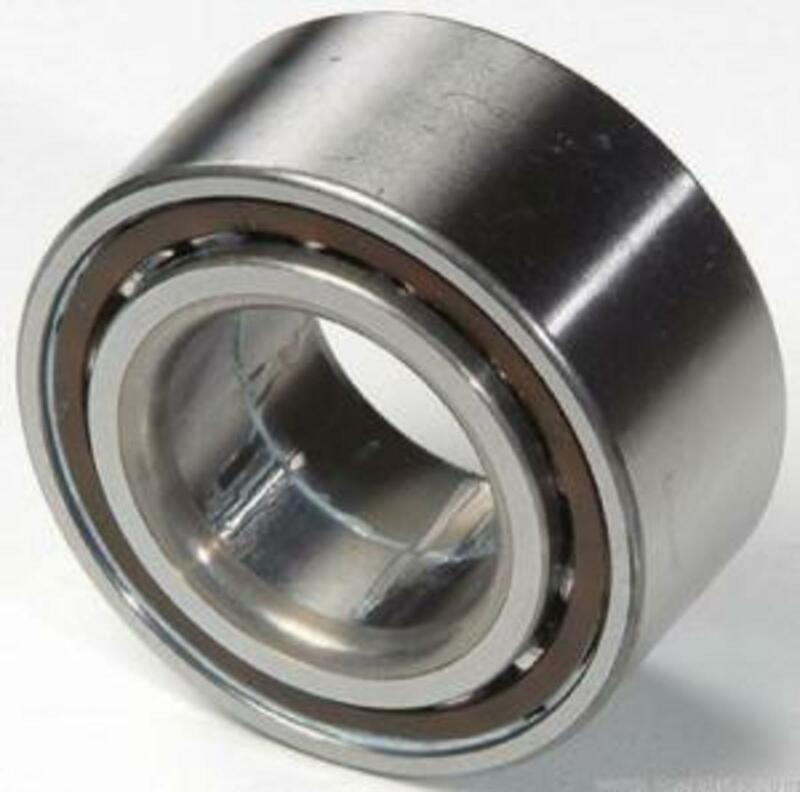 Usually if a bearing is not noisy, it doesn't have a problem, it could have some play in it, but some bearings can be adjusted by tightening the axle nut. Why are my wheels screeching on bends and corners? Most likely, the rotor backing plate is to close to the rotor and needs to be adjusted. I think my wheel bearing just went out. Now my 1999 Chevy Blazer keeps locking the tires and won't let me go anywhere. Do you think it is the wheel bearing? If so what brand of bearings should I buy? A wheel bearing would have to make an awful lot of noise before it Locks up, your problem sounds more like your brakes have an issue. I recommend taking off the wheel first to check out what has caused the wheel to lock up. When buying a wheel hub, do the bearings come with it as a whole unit? It depends on the manufacturer. Some manufacturers sell the components separately so you'll need to ask before you buy. I bumped into the curb. As a result, I had the lower arm changed. However, when driving above 20 mph., any steering towards the right side results in a rumbling noise. Could this be the wheel bearing or the drive shaft? Yes and yes. Most likely you damaged the wheel bearing, and now you have a humming noise; an axle would be more of vibration on acceleration or clicking on acceleration while turning from a stop. Sometimes there is a noise that reminds me of a kids Power Wheel vehicle, like when it's driven on grass. The big problem is a loud pounding rumble when turning left. I don't think it impairs driving, but it's so loud it makes you think your wheel might fall off if you cut it too deep. Do you think it's the bearing? There are also open recalls on the male model 2010 cx7. Could it be the axel? Wheel bearings make a humming noise, so if you have an open recall on the axle, this would be a great place to start because the noise you're describing sounds like you shouldn't be driving this vehicle until it's fixed. I own a 06 Civic Si. It sounds like something is hitting the brake shield. Rolling by parked cars with my passenger window down, I can hear it softly reflecting back to me. It's almost like softly rubbing on metal; light squeaking. It seems to get louder when I turn to the right. This has been happening for about a year, and has lately become more severe. Should I replace the front axle? No, your axle wouldn't make this type of noise. I recommend having the rotor backing plates check for a clearance issue or debris stuck between the two. I have a Honda Jazz, and the rear wheel bearing inner race is stuck on the shaft. How do I get it off without damaging the shaft? You need to cut it off without damaging the shaft. We usually use a diamond cutting wheel to slice halfway through the race, then use a cold chisel to crack the race inside the cut. It should slide off the shaft after that. 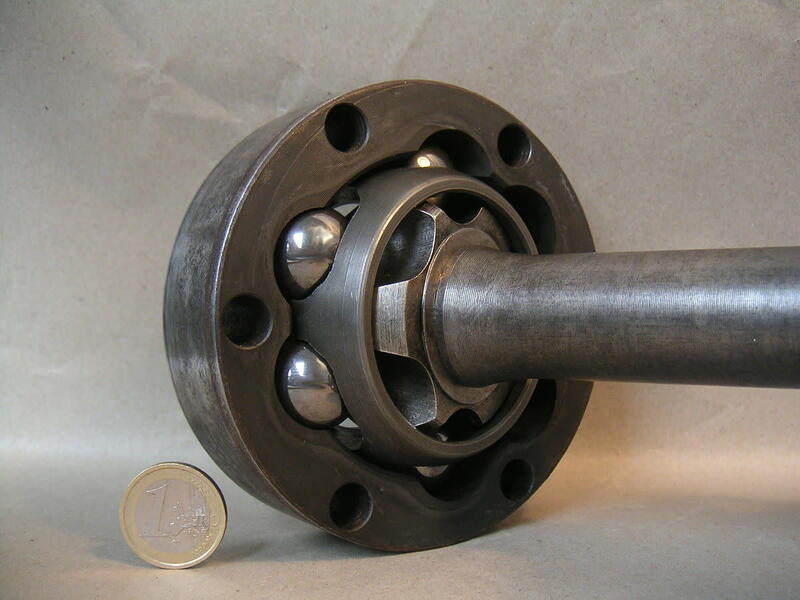 If you end up cutting the shaft slightly, it shouldn't affect the installation or the operation of the new bearing. I have a 2007 Pontiac Grand Prix GT, and I hear a rattling noise when driving over rough areas in streets. I replaced the passenger side sway bar link and tire rod, but it still drives rough. I was thinking my passenger side wheel bearing. What do you think it could be? Try replacing the sway bar bushings first, they are what soften the noise from the sway bar to the frame, and they wear out over time and cause a knocking noise over bumps. Wheel bearings will not cause a knocking noise. What makes a noise like a metal bat dragging on cement? Worn out brake pads would make a sound like that, or if a small rock is caught between the rotor and backing plate. Sounds like your brake rotors have pad imprints or rust causing the noise. I recommend having the front rotor and calipers checked for uneven or rusted rotor surface and possible caliper sticking. Not likely, They couldn't damage anything just swapping tires, maybe you didn't hear it because the snow tires are loud and aggressive? After my snow tires were replaced, by the dealer, I heard the bearings problem. Is it possible that they damaged the bearings when they put on the regular tires? It would be a good idea to at least have it checked so you know if it is dangerous or if you can wait a whilebefore getting it fixed. Wheel bearings make a noise starting around 25 mph and the tone can change when turning left and right, sometimes disappearing all together on turns so have it checked just to be sure. My Jeep has been making this noise every time I turn in left direction (on ramps, wide turns) turning into a driveway not so much. It only happens when I turn the wheel left, nothing when it’s straight or turning right. It has gotten louder in the last week. I noticed today it stops the noise when I press on the break. Sounds like something in a peg of a bike. Any suggestions...is it something that needs to be fix ASAP? It sounds like you may have either a CV joint clicking or a U-Joint making noise. I recommend you have all of them inspected, and yes, if you like your SUV it's worth sticking the money into it. I am hearing what sounds like coins rolling, or dragging chains in my front passenger side tire. It is a constant sound when driving slowly, enough so, that people look over as i drive by. I dont think it is wheel bearing, as ive heard that noise before. I am at a loss as to what this sound could be. HELP! MY steering wheel makes a humming noise when I hit about 40 mph when steering to the right and goes away when steering to the left. Do you think that that’s the wheel bearing? Not unless you hit a curb very hard, scrubbing the curb will have no effect on the bearing. There is more force on a bearing when taking a sharp turn at fast speeds like exiting a highway then there would be scrubbing a curb. I have a car under extended bumper to bumper warranty with 20k miles left. Over the past year the rear bearing has been getting louder and after taking it into dealership they claimed the scratched rim from parallel parking was an outside influence that caused the bearing to fail and would no longer be covered. Is this reasonable? Wheel bearings can last for many years, if you have tapered not sealed bearings you'll need to grease them every few years. Sealed bearings are non-serviceable and will never need grease. How long should a front wheel bearing last no matter being of cheap quality? Here our retailers ask us to open it and add some grease. No matter done , still they don't last. To me if they take 6 months I could say they lasted longer. Do i need to add some grease on \in a new front bearing before fitting? Also what is the actual type of grease to be added if necessary? Sorry about the slow reply, It may not be a wheel bearing, I could also be a locking hub malfunctioning or worn brake pads, I highly recommend getting it checked if you haven't yet. Let me know what you find, thanks. There are a lot of things that can cause a thumping noise, the most common is tires, so if you're cruising and not touching the brakes and not turning and you're hearing a thumping noise, have your tires checked for uneven wear or cupping. If the tires look good and have a smooth tread then you'll need to dig deeper. My car is a GMC Jimmy I hear what sounds like a thumbing noise seems like On the passage side, even when drive slow what could it be? Most likely y the noise is a wheel bearing, it may sound different because it's in the rear, there really is no common sound for a wheel bearing because there are many different styles. I doubt it's a tire noise unless you can actually see damage to the tire but anything is possible. 60km/hr(Canadian) I hear a noticeable oscillating low frequency sound, hard to describe, but its constant wrrrWRRwrrr and other then noise level speed doesn’t effect it. Its loudest at 80km hr. it doesn’t sound like a wheel bearing(womwomwom). Im wondering if a tire could be damaged or something else. My steering wheel isn’t vibrating, doesn’t feel ‘loose’. One wheel bearing per wheel/hub. If they refuse to believe, then ask them "what is causing the noise?" If they changed the wheel bearing because of the noise and the noise is still there, simply tell them that the noise is the same as before and they didn't fix anything. I recommend you drive it for a few days and if the wheel bearing is still making noise, take it in to have it diagnosed. Usually, only one wheel bearing fails at a time, especially if it just started making noise, its rare two or more fail at the same time so beware. Let me know if you have more questions. First I’d like to tell you how kind and so knowledgeable you are. It’s hard out here to know what to do. Well, I have a Saturn Vue 2006, just yesterday I noticed a hum as I go and it starts in about 40 mph. We did have a lot of rain the other day and sandy dirt under. Should I first spray out the wheels then test it again, or just take it to a mechanic? how many bearings on one front hub assembly unit? I had left side replaced noise became worse. company refuses to believe it is the bearing. How did you make out with the tires? Is the noise gone? Thank you Eddie, will be changing all 4 tyres tomorrow will let you know if the noise disappears. Usually a wheel bearing is a steady noise that increases with vehicle speed not a rotating noise, what you might be hearing is uneven tire tread noise. I recommend you check your tires for uneven wear or have someone check your tires for you that has some knowledge about tire wear. Let me know what you find or if you have more questions. Hi Eddie, I own a 2008 Toyota Yaris and recently started to hear a woo woo noise from the front right side when the car is just rolling at say 30m/h. It even shook a bit. Please what do you think this is? 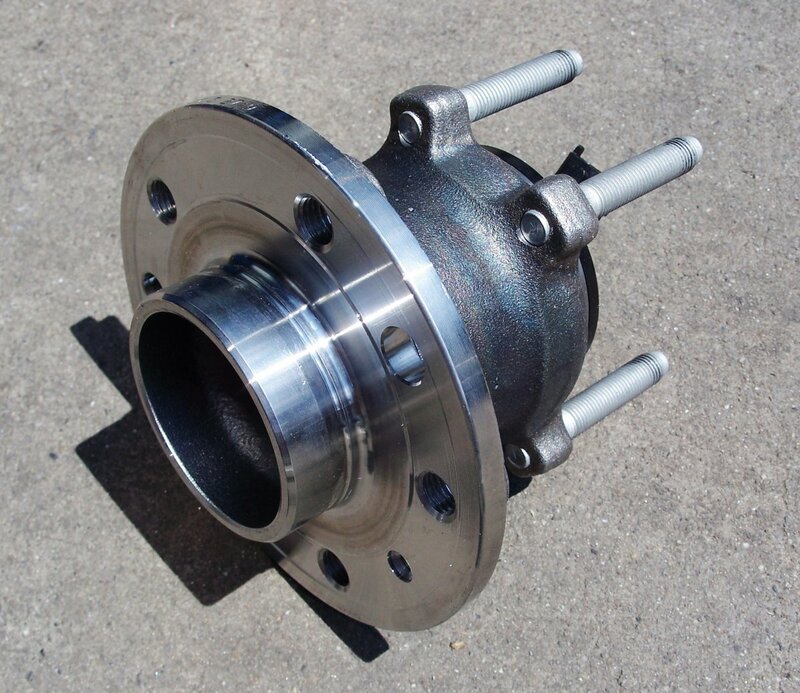 It sounds like either you have a loose exhaust heat shield, rotor backing plate, or hubcap. I recommend checking all your hubcaps first because that's the easiest check, if all looks good check for any loose rotor backing plates, if all is ok, have the exhaust checked for any loose heat shields. Keep me posted on what you find, thanks. Most likely the mechanic bent the rotor backing plate and it is now rubbing the rotor while driving. I recommend you bring it back so they can adjust the backing plate, it should only take a few minutes or you could try bending it out of the way yourself. Let me know what you find, thanks. Just had rear bearings replace is dealership where I purchased car. I always go in to have a safety inspection. To make sure all is OK.
On my way to my grandson's Christmas eve mass I turned the corner and this loud scraping metal sound coming from the rear of the car. Thought I picked something up. Stopped and looked did not see anything. Proceeded to go and it got even worse. I am hearing a noise in my front driver tire but it's not all the time. Usually when I have driven for a while and it happens when I change speeds or go over any kind of bump. It's sound like a "tink"... sort of like hitting a pie pan or a low symbol. Is this the wheel bearing? Sometimes when swaying a car left to right while driving at a steady speed, the wheel bearing noise will be more pronounced in one direction or the other so the noise you're hearing could be a wheel bearing. Most likely you hear a wheel bearing, the noise will disappear when coming to a stop. I recommend having an experienced mechanic check out the noise and diagnose the location. Let me know what you find, thanks. My car has this helicopter noise, it's clearly heard when am driving but brakes/slows down to stop. You may have two different problems, I recommend getting the wheels balanced for the vibration, and for the grinding noise I recommend inspecting the edge of the rotors and calipers for any contact points. It's possible the rust edge on the rotors is contacting the calipers on hard turns. I noticed a tire rub noise from the front drivers side. The faster i go the louder it gets. A mechanic said it is the rack and pinion and needs to be replaced and that the noise is the tire rubbing because the wheel is wobbling. How dies that sound to you? I wonder if what you are hearing is air bubbles in the coolant passing through the heater core. The heater core is located behind the dash inside the vehicle and when air bubbles pass through at low RPM's it makes a gurgling sound. The rubbing sounds may be something the mechanic did unless you heard that noise too before the repairs were done. I recommend you take it back to the mechanic so they can check there work and also asks them to listen to the gurgling sound. Hope this helps, keep me posted on what they say, thanks. I have a 2015 Dodge Durando. I started hearing a gurgling or bubbling sound that seems to come from the driver front end (sounds like in the motor above the wheel well). The noise starts at a stop, when starting to accelerate from a stop, and when turning the wheel (mostly to the left) and the car is a little warmed up. It does not happen during normal driving. I have also noticed that when i hit the gas from a stop, I feel and hear a slight "rub" for a couple of seconds and as a speed up a bit all the noises go away. I brought it in for service, a bunch or work was done, the noise is still there. Clearly they did not drive it or diagnose properly. You can't miss this noise. Your thought on what could be wrong would be greatly appreciated !! Thank you !!!! I suppose any emergency stopping situation would put a vehicle with 211k miles under a lot of stress and could stress out the bearing or could have sped up the wear process, its just weird you don't hear it under 50 mph. If you use an experienced mechanic, they can use a stethoscope on each bearing to find out if that is in fact the noise, some mechanics just guess. The noise you're describing sounds like a wheel bearing to me so have it checked out. Let me know if you have any other questions, thanks. I came across your posts after searching to get an idea of what might be causing my problem. I have a 2005 Honda Odyssey. It’s got over 211,000 miles on it. It’s rapidly approaching needing new brakes (if it’s not already there, I drive it a LOT). Can an extremely hard braking event cause the bearings to go out? The other day I was on the interstate and a car that was going much slower moved into my lane, then promptly hit their brakes, hard. Thankfully I was watching and was already preparing to slow down, but I didn’t expect them to slow so drastically so quickly. I had to really press my brakes hard and as I did, I heard a low rumbling sound not typical of the van as I slowed down. Afterwards, it was making the helicopter noise to the extent that I pulled over thinking I had a flat tire. The tires are new and properly inflated. The van now consistently makes the helicopter noise when my speed hits between 50-55 MPH, but not before that speed, and decreases once I pass 55 MPH. Could the hard braking have caused a wheel bearing to go bad or just amplified the issue? Thanks for any insight. I know it’s hard to tell without looking at the vehicle specifically. It sounds like you main mechanic is the one who is honest. They may be a little more expensive but it sound like they do the job right and may even use better long lasting parts. I recommend you stay with your main mechanic and always follow your gut. The description sounds like a wheel bearing to me. It's possible the axle nut was not torqued to spec and cause the bearing to wear prematurely, or the seal was defective and debris caused the bearing to fail. I am having a sound, what sounds like its from my front driver side tire and it makes a noise like there is card in my bicycle spokes. This last July to August, I replaced my hub assemblies, upper n lower ball joints, brake pads, and even got an alignment done with new tires. So most say its the wheel bearing, but I even took the front end apart to try to find any inconsistency. But there wasnt one. Got any ideas? The mechanic that I've taken my car to twice now for an exhaust job (not the same exhaust job) told me my rear wheel bearings are going bad, Mind you I have heard no airplane noise and no play in the wheel or shaking at 50 or less mph. He said I will plus my breaks will go down to the floor. Yes, I am getting a second opinion because he did not specify which bearing either and I think he is now trying to be dishonest. He said it isn't an emergency and it could wait a couple months. Also, he said they may never go bad. It sounds fishy to me now. My mechanic I use for all my other jobs test drove my car last week because I heard a noise in the front and thought it was a loose lug nut but he told me it was the exhaust so I went somewhere else for a lower price for work which was this mechanic that said I need rear wheel bearings. I do believe my main mechanic would have caught it because not only did they drive it around the block they had it up on the rack. No they did not drive it 50 mph but still he would have experienced play in the steering wheel. I really don't need to bother with this meaning a second opinion. Right? Thank you...Oh I have a 2003 Rav4 with 166,000 mph. I don't know parts prices, sorry. I can tell you that it will be about 6 hours labor ( what ever the labor rate is) plus parts. I think you have two different problems. 1. You have a damaged wheel bearing in the rear. 2. The tires need to be inspected and balanced if the tire condition is ok. I have a Honda Accord 2013. The noise accelerate in the back as I increase speed. My mechanic drove my car and told me I need rear ball bearings. If its not a sealed bearing you can repack it with wheel bearing grease, but I don't recommend taking apart a sealed bearing. There is no mileage limit on wheel bearings, I've seen wheel bearing last over 300k on some vehicles. It's unusual for two wheel bearings to fail at the same time so I recommend getting a second opinion on which wheel bearing has failed. It's always good to have the bearing checked just to be sure there is not a lot of play or looseness in the bearing, noise is usually the first sign bearings are failing. Yes, most likely the noise is a wheel bearing, usually only one wheel bearing will make noise, and it rare to have two fail at the same time, so keep that in mind when the mechanic says wheel bearings (plural). Keep me posted on what you find, thanks. Hi, Eddie - I have a 2011 Ford Focus with 169k on it and after getting new tires Friday, I noticed a roar like a prop plane that gets worse with speed and not RPM's. Hadn't heard it before the new tires, so I went back and they told me it was likely wheel bearings. I did the swerve test and the noise is worse when I swerve but there's no vibration or pull to either side and the ride is still smooth. Based on this does it still sound like bearings? I do have rough engine vibration at idle as well, so I'm not sure if there might be something else at play.Thanks! Thanks for the info, mine started making noise this week but got to wait to pay day to fix it. Knowing your daughter drive for a minute without incident calms my nerves. have a 2016 Mitsubishi outlander sport...they tell me i need to new front wheel bearings...it's a single family car...76000 miles on it...no hard driving serviced when needed...does this sound normal for a car 2 years old...i thought you get 100000 miles out of bearings under normal driving???? keep in mind that wheels get hot while driving because of the brakes, especially after exiting the highway. 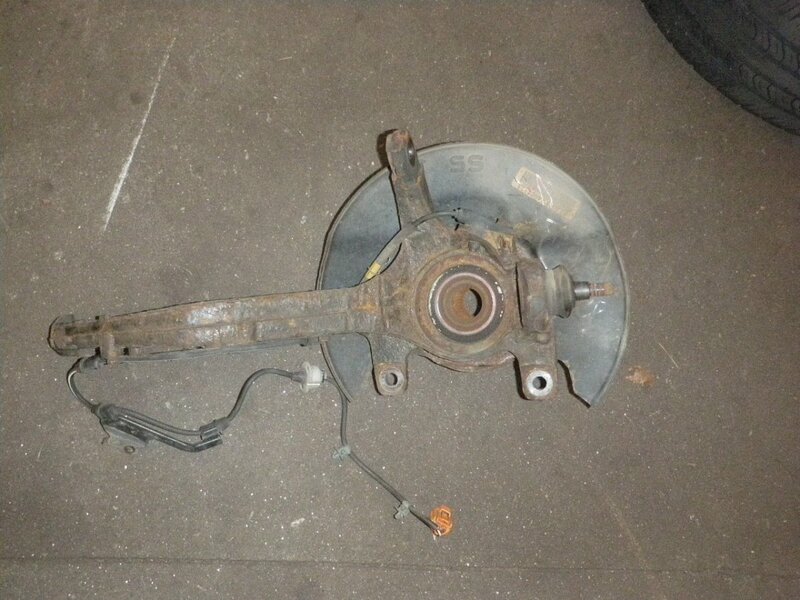 It take a lot of force and friction from the brake pads and calipers to stop a 4k pound vehicle at 60 mph. If one bearing is getting hotter than all the other bearings you may have a caliper sticking. The noise you're describing sounds like a wheel bearing. There is no machine to test a wheel bearing or axles, it is tested by the mechanics experience and the ability to listen and feel. I recommend getting a second opinion because there is no reason to remove any of these parts to test them. I Hope you didn't pay to have them removed and tested. Hey Eddie! Great information. . I have a question for you my girlfriends 2010 Pontiac vibe recently had a transmission replaced last month , last weekend it started sounding like there was an airplane taking off when she hit 40 miles an hour coming from the front wheels. the sound gets louder the faster she drives or the longer she drives the car . There are no clicking sounds the car doesn't change noise when you turn and a mechanic recently took it apart and checked her axles for differentials for wheelbearings and doesn't believe any of those are the culprit however the noise is still persisting . The noise possibly be a will bearing even though he took it out and put it on a machine to test whether not the wheel bearing was having issues ? Other than that we're stamped and I'm afraid for her to drive the car . Please help! There are a lot possibilities why the bearing is making noise again, but I don't think one of them is because of the car lol. Usually if the bearing failed again that quick, it's either a problem with installation or the manufacturer, there are other possibilities as well, but those are the two most common from my experience. I think you just need to trade this vehicle in and drive what you want and put your mind at ease lol. Hey Eddie! Just found you when looking up what I think is a wheel bearing issue, great site!. My question is, I've had both of my front wheel bearings replaced within the last year to 18 months. I do put significant mileage on my 2013 Nissan Altima, approximately 25K a year. Is it unusual to have to replace them so often? Or is it this vehicle, which I do not like at all and can't wait to trade in, btw. lol . TIA! 2010 Subaru outback. About 6 months ago I had my right front wheel bearing replaced. the roaring was improved for a time, but came back. this time I took it to the dealership which said now that all 4 needed to be replaced. I have heard that its rare for 2 to go out at one time let alone 4, so I took it to a 3rd independent shop who said he thought it was just the front ones, he replaced the left front and I took it back to the first shop, a Firestone, to re-replace the right front free of charge since it was less than a year ago. They did not know I had just replaced the front left the week before and said that all 4 needed to be replaced. What is happening here? Thanks Eddie, the bearing was fitted on the left front but the noise turning left was still apparent and they told me it was the right now needing a replacement, think Ive been taken for a ride. they said they used a stethoscope and the left was the culprit, but I find it odd replacing the left made no difference to the symptoms I took it in for and them then saying its the right. Appreciate you taking the time to answer my post, have a great day. Yes, if the wheel bearing is very loud sometimes too can hold the coil spring and feel which bearing is making the noise, a stethoscope is the best method. The thesis mentions is not concrete, but is pretty accurate most of the time. 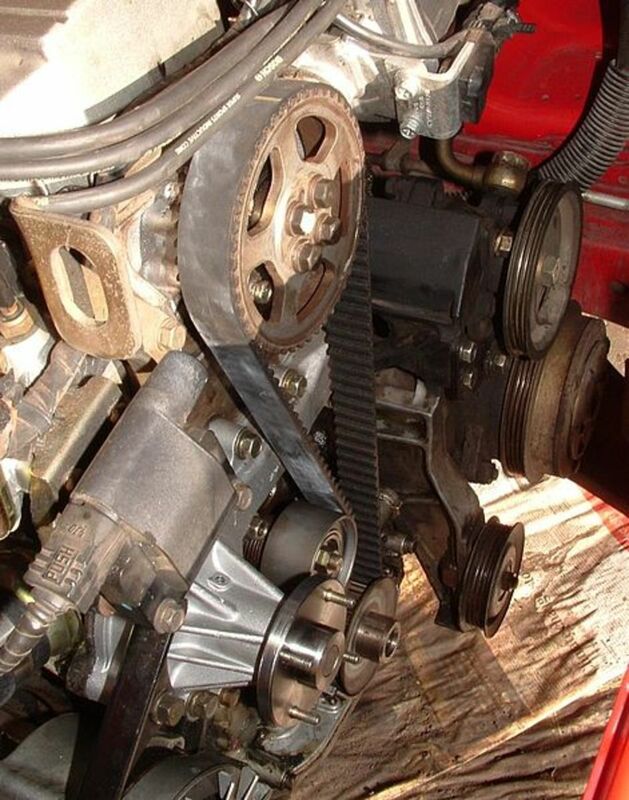 The best way to diagnose a wheel bearing noise is to have the car on the lift and use a stethoscope to listen to each bearing as the wheels rotate, the noisy wheel bearing is very easy to hear when using this method. Hi, great article - you mention if its noisier turning right it's likely the left bearing and vice versa. How nailed on is that theory? What a great article and videos, thanks! I have a 2010 Impala and am experiencing a noise like in the videos. However, it does not change when turning the wheel. I've heard also that by holding the coil spring while spinning the wheel you can feel the bad bearing vibration. thanks for article...very good job. I have a 2009 Optima making loud noise. I thought it was just the car getting older and I didn't want to believe something was wrong. When I brought it to a mechanic, he must have heard me say the car gets louder as a drive...that tipped him off. My concern is that the hub will have to be replaced as well, because that will be more expensive. but I'm ready to pay. the noise is over "bearing"
It sounds like you may have two different problems. The thump may be brake pad impressions on the rotors and the high pitched squeal could be the wear indicator on the brake pads warning you the pads may need to be replaced soon. What can I do for you Rajath? I love to hear that my boring articles actually help people lol. I'm so glad you found what you're looking for :) Let me know if I can answer any questions for you. Your site is a breath of fresh air amongst the painful tomes of self-efficacy, laboriously tedious advice and guidance on what, realistically, could be wrong with our 4 wheeled work-horses! Thank you. Thank you. And, thank you! I now feel confident to go to my garage with a fair idea of what's wrong with my elderly yet still sprightly Merc R170. You're welcome Ryan, thanks for coming back. with an update. Thanks a lot Eddie. You were right. There's a problem with the brake pads. I have a 2009 volvo s40. I started to notice a loud hum at high speeds that’s gotten increasingly louder, it’s only noticeable from inside the car, It goes away when turning left and there’s s very soft steak when braking. Tires, brakes and rotors are good so I assume it’s the wheel bearing. The hum seems loudest when staying steady at 40mph and only gives a very subtle vibration, nothing insane or scary, The tire doesn’t feel like it’s going to fall off but the roar is so loud now. My dad replaced my axel which has helped but barely as he suspects the bearing as well. I’m going to my parents in three weeks (3 hour drive) so I wanted to ask if you agree it’s the bearing and if it’s safe to drive until I go there and he can replace it? 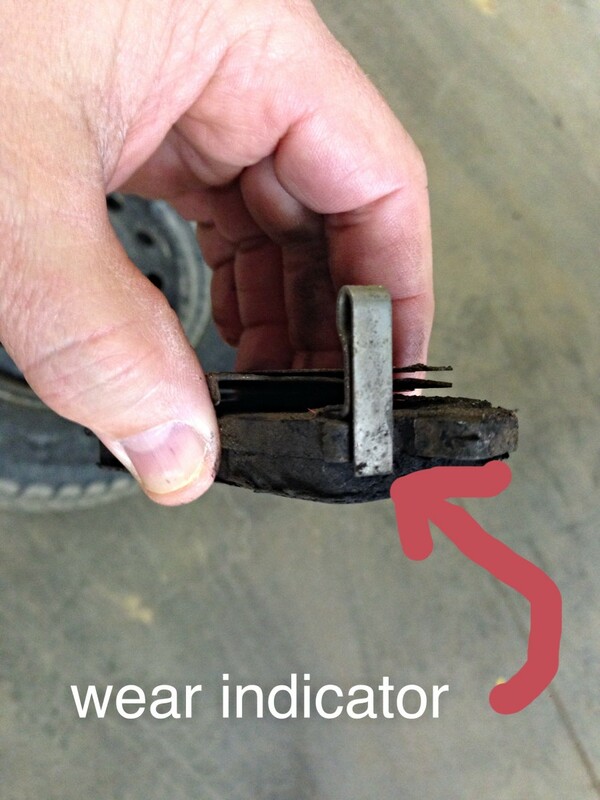 I recommend checking the brake pad thickness of all inner pads. It sounds like your brake pad wear indicator is starting to touch the rotor warning you that your brakes will need replacing soon. Let me know what you find, thanks. Hi, i replaced my both front bearings around 15 days ago but "sometimes" i can still hear some noises (Cricket noise) specially when i'am in highway. I just wonder what could be the problem? why can i hear that just "sometimes"? It sounds like something is caught between the rotor and backing plate. I recommend locating the noise and removing the wheel and checking for any signs of rubbing or debris caught between the rotor and backing plate, also check the brake pads while you're in there. Hello. Last Friday I heard an airplane noise from my car. At first, I thought it was an airplane landing or taking off. Can you tell me what the problem could be? The noise is random and there is no issue when the car is idle. Is there any way you could take a video of the noise, upload it to YouTube and send me a link so I can take a listen? There a a lot of things that can clunk when braking because suspension parts want to move forward when applying the brakes and there is a lot of stress on the suspension. The noise could also be coming from the brakes themselves if something is loose. Take a look at your tires for uneven wear. It's weird that the noise is only when braking, did you just have the brakes done? Did the noise start after the brake repair or did you hear it before the work was done? I'm getting a revolution whirring sound coming from the rear of my astra 2003, it's mainly on braking. Ive just had my front & rear brakes overhauled so this is not the problem any ideas, could it be an axle or wheel bearing? my rear driver side side makes a louder clunking noise whenever I brake. I’ve taking it to three different mechanics and no one knows what it could be. 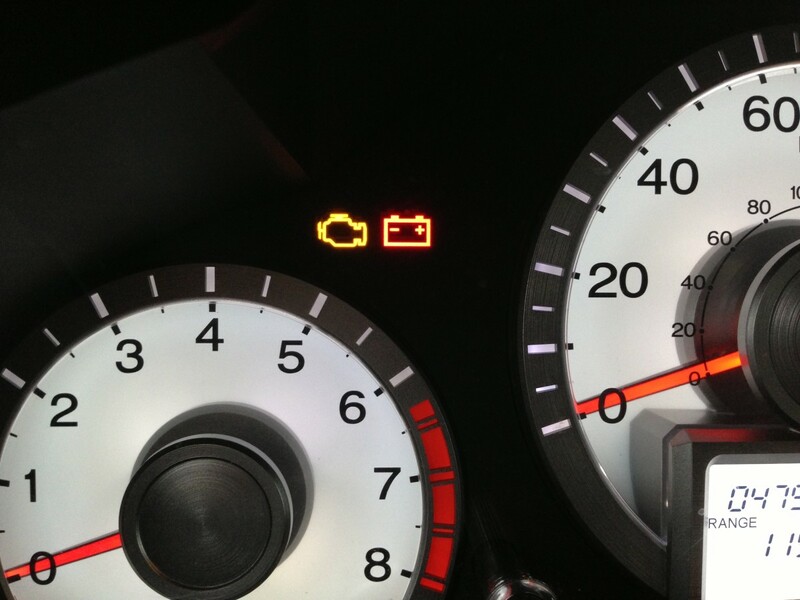 I dont have a question but this really helped me diagnose my car! Its going to be an expensive fix for us unfortunately but at least we confirmed what the shop said.